To help you discover your vision, design your path and track your progress toward your destinations, Amida Wealth Advisors offers services in six key areas. This is how we put the Amida Way into action for you along your journey to ultimate radiance. This is the Amida Advantage. We look at your current financial situation along with your goals and dreams. We then start along the Amida Way hand-in-hand with you and help you discover a clear vision for your financial future. We can then start designing your path to help you realize your vision. There can be many obstacles that pop up along your path to your financial dreams. We help you identify and prepare for them. What are your accumulation goals? How much money do you need, for what, and when? We can help prioritize those goals and help you plan a path to realize them. We can work side-by-side with your tax advisor to help develop proactive strategies to manage your taxes, the timing of income and deductions. Experience freedom! Whether you are just starting your career or approaching retirement, we can help you lay a path to financial independence. What do you want to do, and will your income support the lifestyle that you desire? 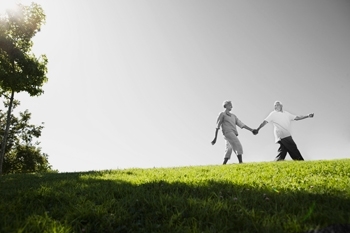 We can help you design a plan that allows you to live the life that you envision. What are your goals for your wealth after you are gone? How would you like your assets distributed? What kind of legacy do you want to leave? We can help you determine answers to these questions and more, and help ensure that there are stepping stones in your path that address them. Amida Wealth Advisors, LLC does not provide tax or legal advice. You are encourage to consult your tax advisor or attorney. Amida Wealth Advisors, LLC can work in conjunction with your tax advisor or attorney to help ensure your overall financial goals are addressed appropriately. 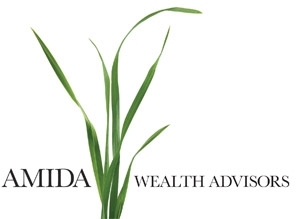 Amida Wealth Advisors LLC is an independent firm with securities offered through Summit Brokerage Services, Inc., Member FINRA/SIPC. Advisory services offered through Summit Financial Group, Inc., a Registered Investment Adviser. The Representative associated with this page is registered to conduct business in the following states: AL, CA, FL, IL, NJ, NY, and WA. Ana Ramos, Founder of Amida Wealth Advisors, LLC, is a licensed Insurance Agent.